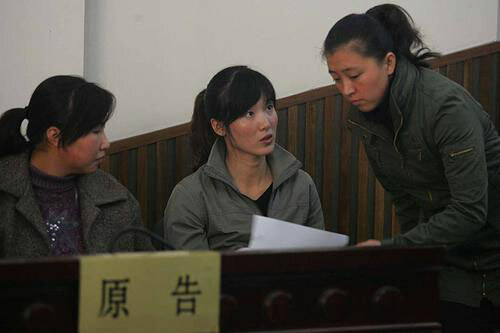 A comprise ended the case filed by former long-distance runner Ai Dongmei and two of her teammates against their coach Wang Dexian. According to the agreement, Ai Dongmei, Li Juan and Guo Ping will get full compensation from the defendants, coach Wang Dexian and the Locomotive Sports Association, to which the three plaintiffs belong, website Sina.com reported. The athletes sued their former coach Wang Dexian and the Locomotive Sports Association for violating private property, last September. The three said Wang siphoned nearly all their training subsidies and prizes awarded in international competitions during their careers. An amount that was reportedly more than 100,000 Yuan (12,500 US dollars). The Locomotive Sports Association was accused of failing to supervise Wang Daxian and of not ending the coach's misconduct. The compromise was endorsed on Monday morning at the Fuxing Court in Haidian District with the three runners and officials of the Locomotive Sports Association present. Wang Dexian and his lawyer however were absent. The transfer of money was completed at court, though the exact sums exchanged were kept confidential. The case drew public attention last year after the poor living conditions of the three athletes was exposed. Wang Dexian, a former elite long-distance race coach who also nurtured marathon top gun Sun Yingjie, was banned from competitions for life after his involvement in Sun Yingjie's drug abuse was discovered at the 10th National Games in 2005.